Are Walmart's Credit Cards a Good Fit for Superstore Fans? Are Walmart’s Credit Cards a Good Fit for Superstore Fans? Since its launch in 1962, Walmart has become one of the most visible retail chains in the world. It employs 2.3 million associates and generated a whopping $482.1 billion for the fiscal year ending January 2016. Given its reach and wide variety of products, it’s no wonder the company offers the Walmart credit card and Walmart MasterCard, both issued by Synchrony Bank. 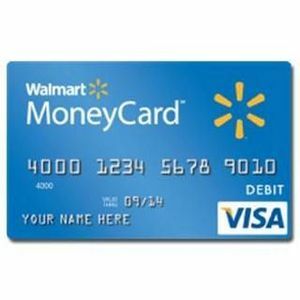 While the Walmart card can only be used at Sam’s Club, Walmart.com and various Walmart-branded stores, the MasterCard can be swiped anywhere the payment system is accepted. Let’s take a closer look at each credit card. Is a Walmart Credit Card Right for Me? When considering a credit card, it’s always good to do your homework. We recommend trying to get a sense of the different cards out there and carefully reviewing your credit scores to see if you’ll qualify. (You can view two of your credit scores for free on Credit.com.) While comparing the cards, be sure to think about how you like to shop and your financial picture. Speaking of finances, it’s good to be honest about the state of your credit. If it’s not in great shape, a secured credit card, which requires a cash deposit that serves as your credit line, may be the best way to help you build or rebuild your credit. If your credit is strong, however, a cash back rewards card, which offers perks for everyday spending on things like retail, groceries and gas, could be a boon to your wallet. If travel is a bigger priority, a travel rewards card, which offers savings on things like hotels, car rentals and airfare, is worth looking into. Store credit cards, like those offered by Walmart, are usually best for loyal customers. If that sounds like you, then be sure to tread carefully, as the last thing you’ll want to do is rack up debt just to earn the rewards. (You also won’t want to lose those rewards to high interest, as store credit cards tend to carry high annual percentage rates, or APRs.) Paying your balance off in full each month will be key to getting the most from your store card. Now that you have a sense your options, let’s review the Walmart credit cards. What Is the Walmart Credit Card? Card Highlights: Customers earn $25 off if they spend $25 or more on their new Walmart credit card when they’re approved. Rewards Details: With the 3-2-1 Save rewards program launched in April, cardmembers get 3% off Walmart.com purchases, 2% off Murphy USA and Walmart gas and 1% off everything else at Walmart stores, Walmart Supercenters, Neighborhood Markets and Sam’s Clubs. Card Highlights: This store card can be used anywhere MasterCard is accepted. Rewards Details: Again, as part of the 3-2-1 Save rewards program, cardmembers get 3% off Walmart.com purchases, 2% off Murphy USA and Walmart gas, and 1% off everything else at Walmart stores, Walmart Supercenters, Neighborhood Markets, Sam’s Club, and anywhere else that Mastercard is accepted. High APRs and big penalty fees (up to $38) make the Walmart credit cards a less-than-attractive option for everyday shoppers. If you have trouble watching your wallet, you may find it difficult to avoid the temptation of Walmart’s 3-2-1 Save program. And if you’re having trouble making ends meet, you may find yourself making late payments, which can drag down your credit score. If spending isn’t an issue but you’re not sold on shopping at Walmart, then these credit cards are not the right fit. You’ll want to consider other cash back rewards cards, like the Chase Freedom Unlimited, which offers 3% cash back on all purchases in your first year up to $20,000 spent. After that earn unlimited 1.5% cash back on all purchases. At publishing time, the Chase Freedom Unlimited credit card is offered through Credit.com product pages, and Credit.com is compensated if our users apply and ultimately sign up for this card. However, this relationship does not result in any preferential editorial treatment. This content is not provided by the card issuer(s). Any opinions expressed are those of Credit.com alone, and have not been reviewed, approved or otherwise endorsed by the issuer(s).